The Ungame is noncompetitive board game. 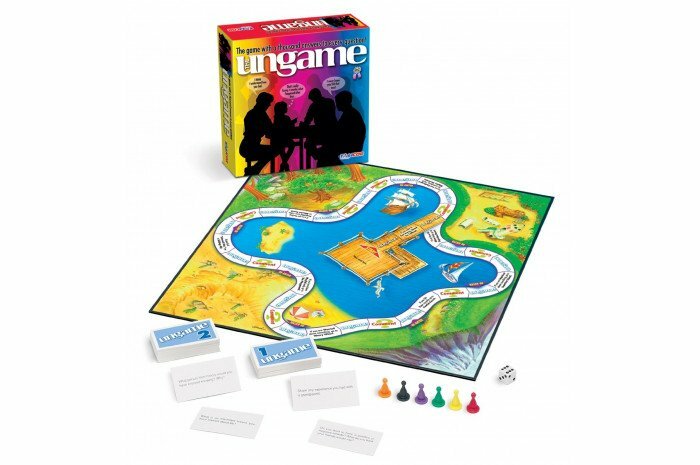 A fun way to break the ice, the Ungame may be used in individual, family or group therapy. You'll see why this is an award winner! if you could be an animal, what kind of animal would you be? What is something that frustrates you? Contents: game board, 6 game pieces, 2 desks of cards, dice. Love this game. Kids usually don't even realize that it has no winner! They just enjoy playing! I had this game as a child. this is a good game to play with teens and children.